Basically, with Project Treble, there is another layer of operating system which separates the manufacturers’ add-ons from the actual Android OS. Which means, everytime Android OS is updated, companies like Samsung or LG no longer have to re-build the Android OS from ground-up to make it work with their extra features. Of course, this also means that one day, users may be able to update Android OS completely separate from manufacturers’ updates, they may even become separate updates. Now, this is how Android should have been built but Google probably never expected that Android OS would be used by more than 50% of smartphone companies in the world. Now, Project Treble is only going to be supported on newer Android devices like Galaxy S9, OnePlus 6, and most new devices from June 2018 should be Project Treble compatible. Of course, there are exceptions to this such as the OnePlus 5 or 5T, which will also support Project Treble. 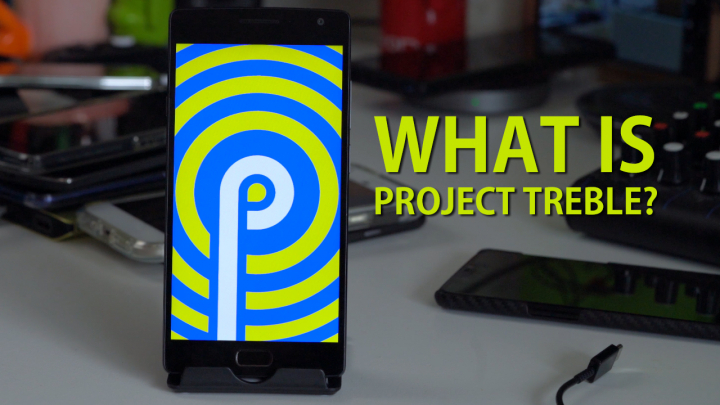 What does Project Treble mean for Root and Custom ROMs? Now, for the Android root and custom ROM world, this also means that you will be able to install GSI(Generic System Image), similar to a custom ROM, but it is not device-dependent and the user will be able to install GSI onto any Android device that supports Project Treble. For example, if a developer made a custom ROM called Resurrection Remix ROM and provided a GSI, then users with ANY Android device that has Project Treble can install that ROM and would run near flawless without additional changes. In fact, there is a Resurrection Remix ROM that you can install on any Android device with Project Treble! What Phones Support Project Treble? If your phone is not listed above, use Treble Check app to check if your phone is supported. Previous story How to Install Android 9.0 Pie w/ Root on OnePlus 2!